We were told by many people on this visit that no matter where you are in this city, you are no more than five minutes away from the most amazing countryside. 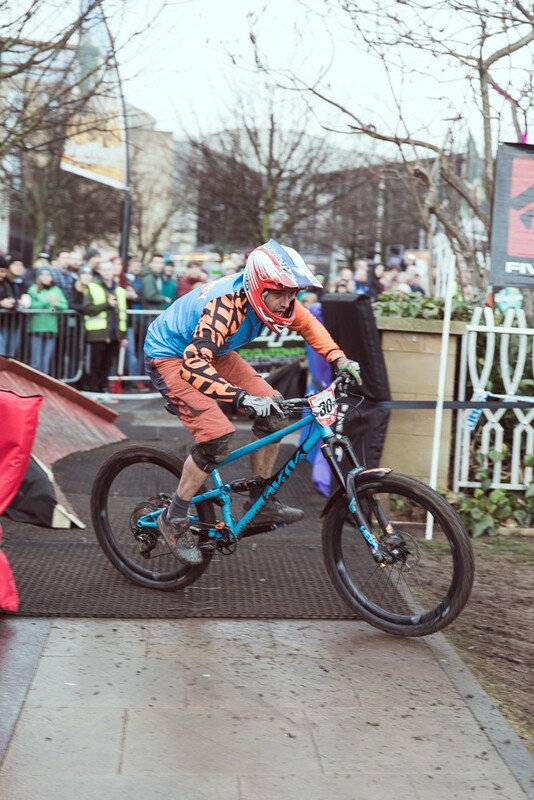 In March, Bikevibe visited Sheffield, in the north of England, for the Outdoor City Festival. For a weekend the city centre is taken over by a whole range of activities set to showcase all of the amazing outdoor life that Sheffield has to offer, and with the vast natural playground that is the Peak District a stones throw away (you can see the hills tempting you in any direction that you look) it certainly lives up to the name. The weekend includes the Sheffield Adventure Film Festival (ShAFF), showing new videos following all sorts of action shot in the natural surroundings and urban environment; a rock climbing competition; hiking, orienteering and running events; and, of course, plenty of cycling related activities, which was the main thing we were there to see. One of the first things we did was check out some films at ShAFF, including amazing bike packing adventures like Pedal documenting Hera van Wellick as she rode across 43 countries self-supported. That alone was enough to make us want to strap a sleeping bag to our bikes and set off there and then. We then headed to Recycle Bikes in a part of Sheffield known as Heeley, where we met Andy Jackson. 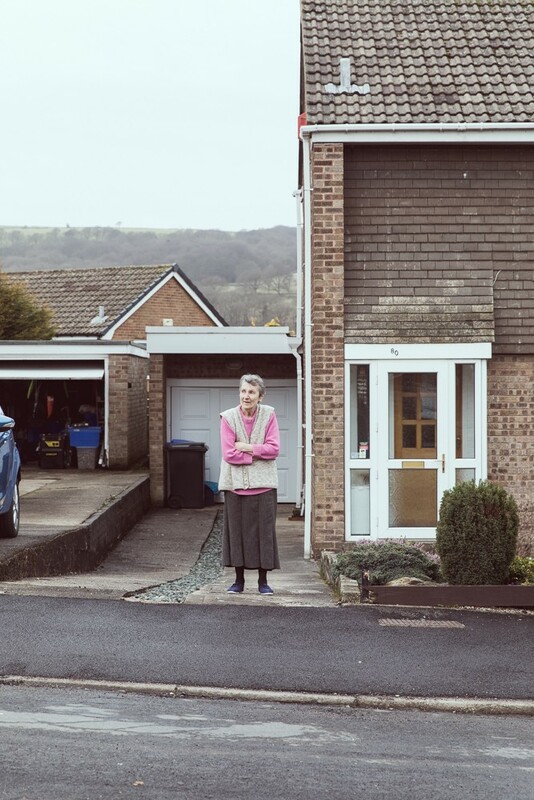 He runs the Heeley Development Trust, an organisation of local volunteers who have single-handedly regenerated the area, long-overlooked and ignored by the city’s politicians and businesses. 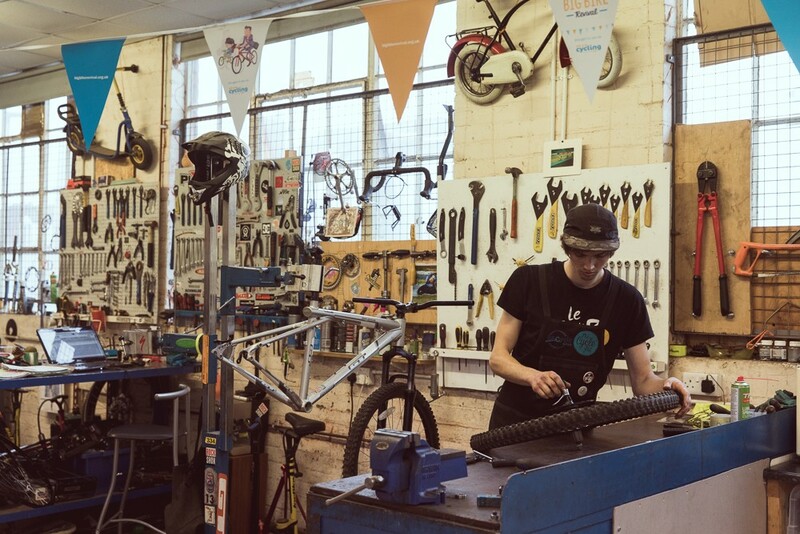 A key part of this is Recycle Bikes: a community workshop that offers bike repairs and maintenance classes, recycles old bikes (as their name suggests) and sells them on once reconditioned. The main work of the Recycle is training young people who are struggling in mainstream education. They strive to give these people another chance, an alternative place to learn and the opportunity for a career working with bikes. 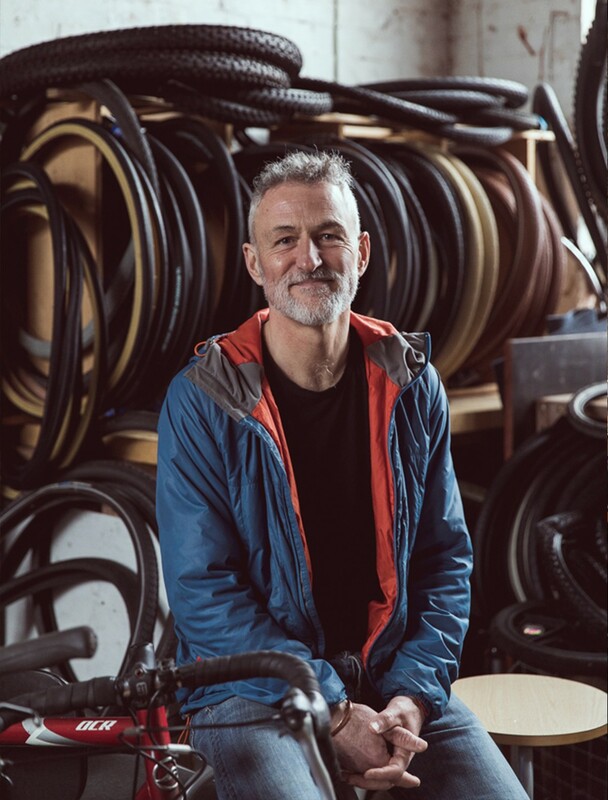 Although there are times that it doesn’t work out, it is clear talking to Andy about the success stories – the young mechanics working for other bike shops and even now training other people – that is the real passion and aim for Recycle Bikes. It is a shining example of bikes doing good things for the city and was a pleasure to visit and meet them. Back in the city centre it was time for one of the festival’s showpieces: the Howard Street Duel. 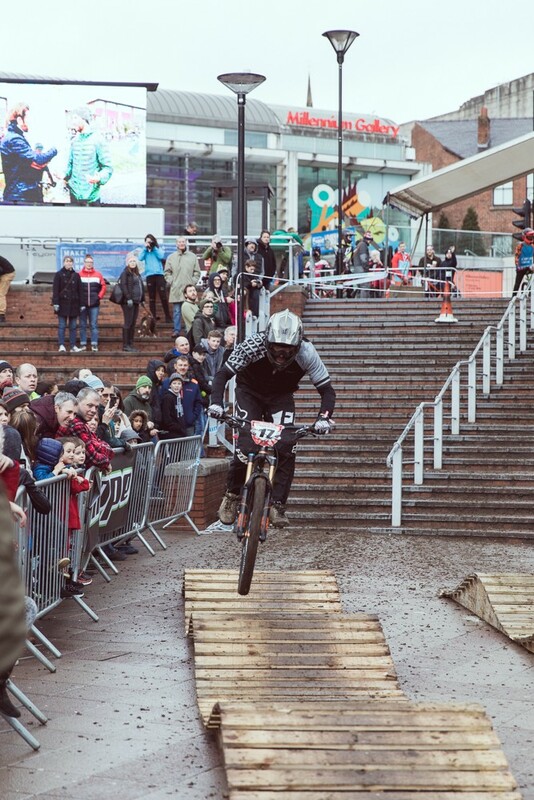 A head-to-head, knockout, downhill urban mountain bike race. Bikevibe can truly say we haven’t seen anything like this spectacle before. 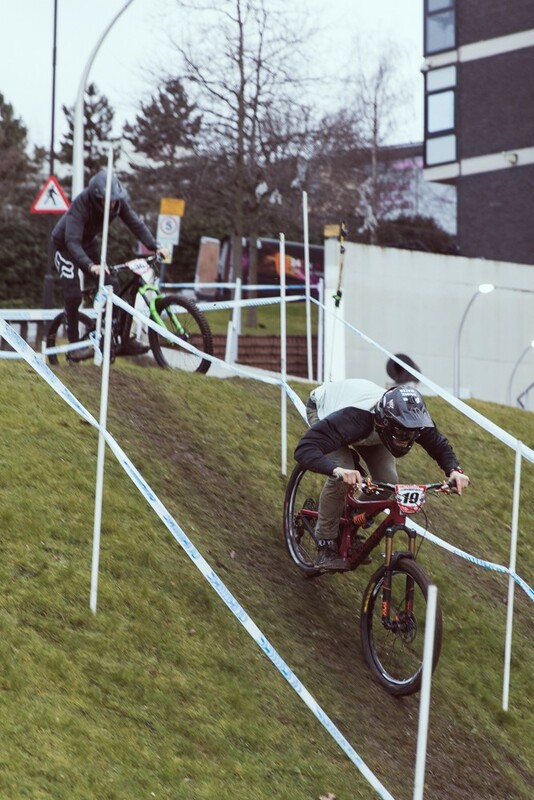 Starting at the top of a set of steep steps by the university building, through a set of rollers (past a Red Bull monster truck that doubled as a DJ booth and sound system), a jump up a low wall, round a sharp corner berm, through a weaving obstacle line on muddy grass and then down a near-vertical drop to the finish line. The racing was fast and furious, with plenty of spectacle with riders slipping out on the mud, misjudging turns and flying off ramps at all angles. It was hugely exciting with some really amazing skills on show. Both the men and women’s competition were well represented, the racing was non-stop and fierce, and the crowds loved it. 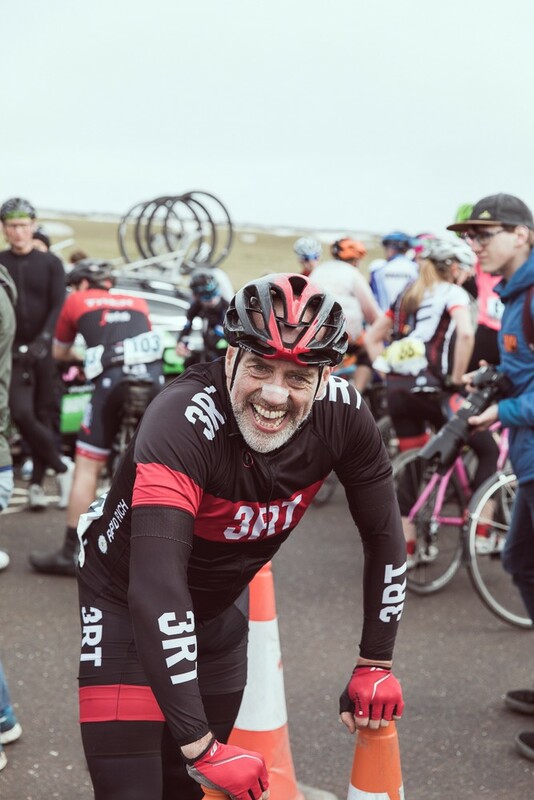 People were drawn in as they passed by, drinkers in the nearby pubs brought their beer out onto the street to see what was going on, and as the final riders dropped in under floodlights to the cheers of a huge audience, this felt like a very special event. Sunday was the big cycling participation event of the weekend, and the one that had caught Bikevibe’s eye as soon as we heard about the Outdoor City. 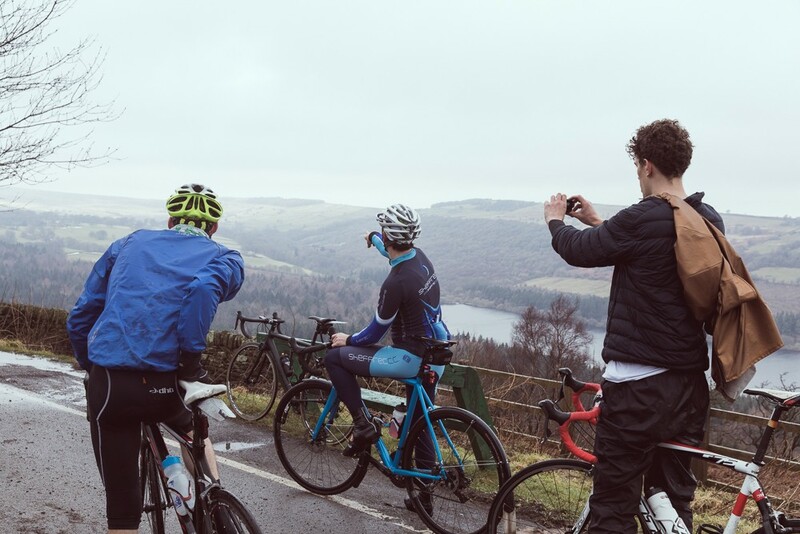 The Magnificent 7 is a sportive taking in seven of the best hills in Sheffield and the nearby Peaks, and it was a format we hadn’t seen before: racing up the hills, with a neutralised social ride between them. 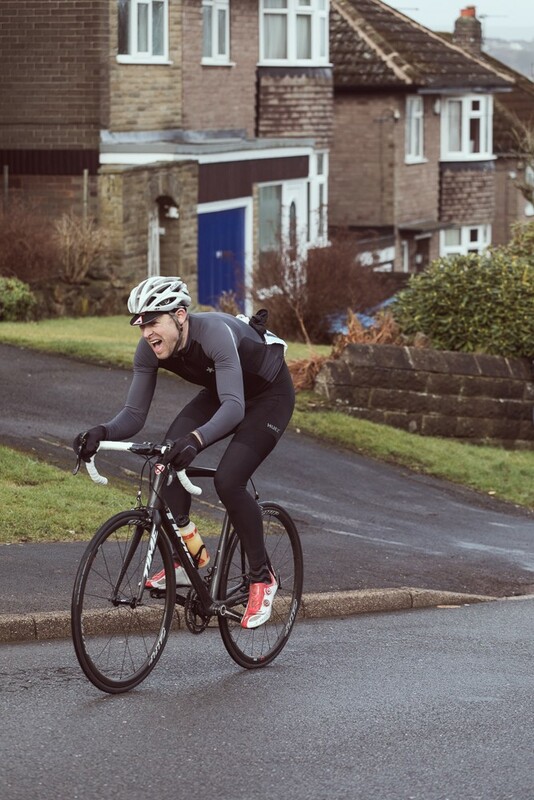 We learnt that race director Marc Etches also organises the infamous Monsal Hill Climb event. I put it to him that this was a masochistic way to roll seven events into one. He just laughed in response. 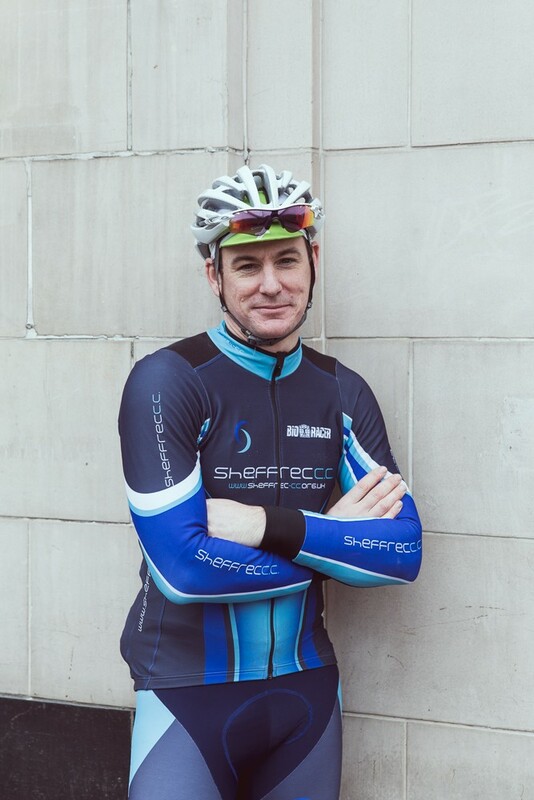 Marc(picture) is another great advocate of Sheffield, cycling and the outdoor lifestyle: he lives and breathes the sport and the area. 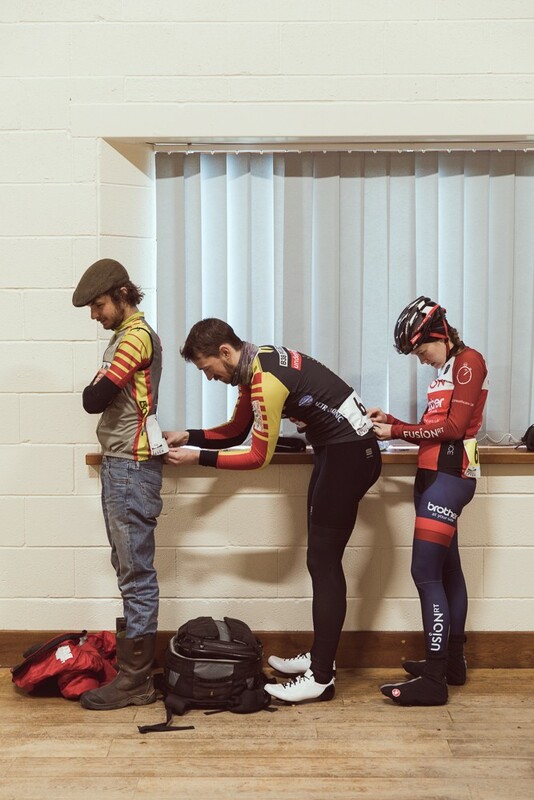 As well as organiser of Monsal and the Mag 7, he is a long-standing member and club secretary of Sheff Rec Cycling Club, organiser of the Sheffield Grand Prix Circuit Series, vice-chairman of British Cycling Yorkshire, initiator of the Tour of Strines event and a commissar overseeing national races across the north of England. A local legend and a real ambassador to Outdoor City. 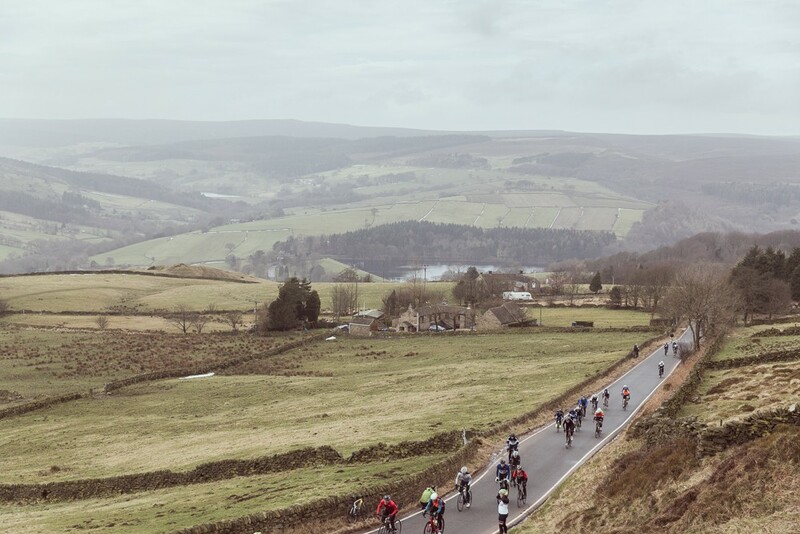 The Magnificent 7 pits riders against a course that is 26 miles long with 4200 feet of climbing, or for anyone not using imperial measurements 1300 metres of climbing packed into 42km. The gradients range from 9-23%. With Bikevibe’s photographer in the press car, how could our reporter turn down the offer to ride? There was a certain amount of nervousness on the start line as to what everyone had signed up for. 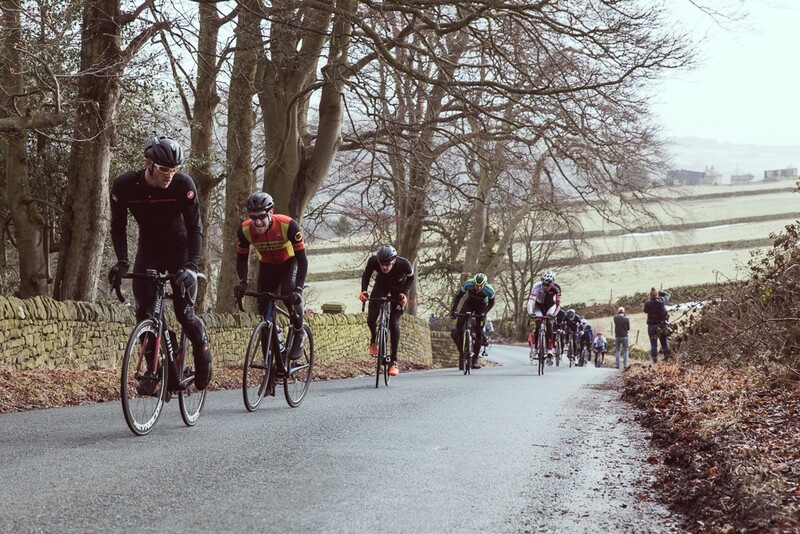 150 riders rolled out of the village of Bradfield, close to the city, in one peloton made up of three categories – men’s, women’s and veterans. Led by the race directors car, flanked by motorbike outriders to stop the traffic and followed by a press car, this was the probably the closest that many of us might feel to being part of a professional race. 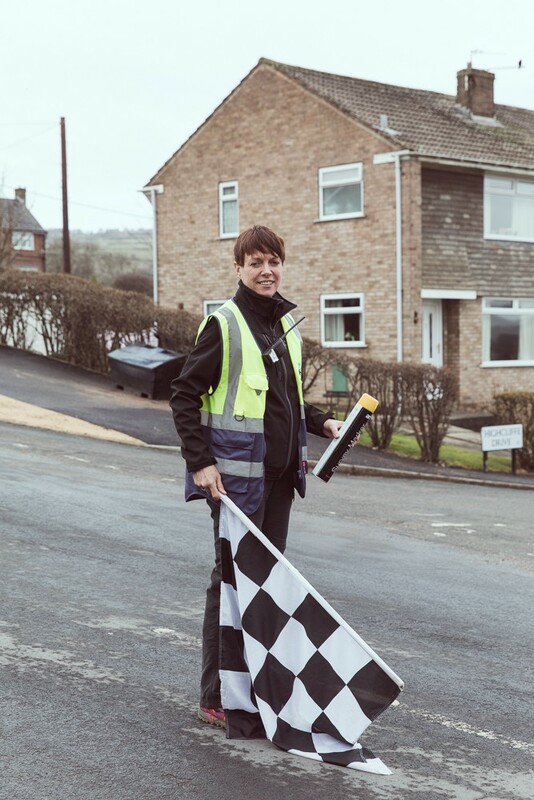 After a warm-up lap around a reservoir, the flag dropped on the first hill, climbing up into the Peaks. The fast men eased off into the distance and the tone for the day was set. With a lovely ride through the lanes at the edge of the city, everyone seemed to relax with a steady pace and a lot of chatting in the group when suddenly the lead motorbikes took a sharp left hand turn and immediately starting rising at an incline that didn’t look possible. 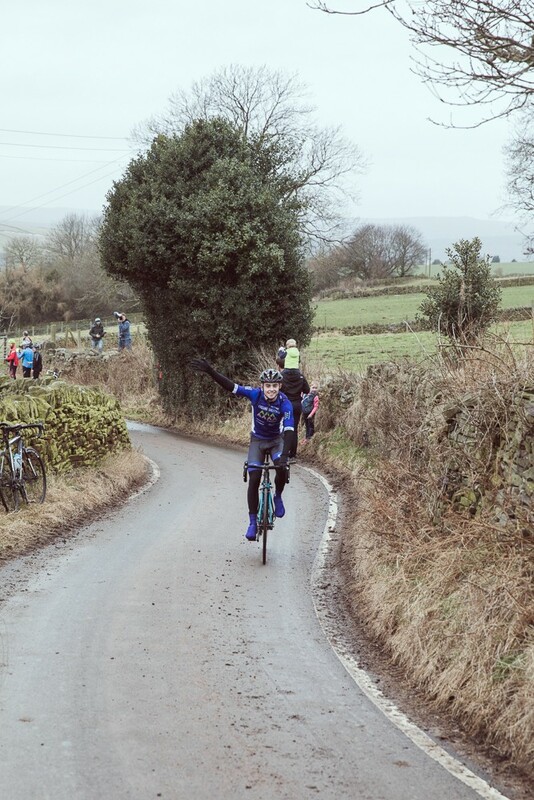 The next hill was upon us – the Queen stage of the race – Hagg Hill. This was a really tough, long effort where I was forced to alternate between grinding away sat down, and getting up out of the saddle to try and get my legs going. Panting over the line we were assured that the worst was over, and sigh of relief was breathed, but it didn’t last for long. One of the most memorable moments was hill number three: Blake Street. 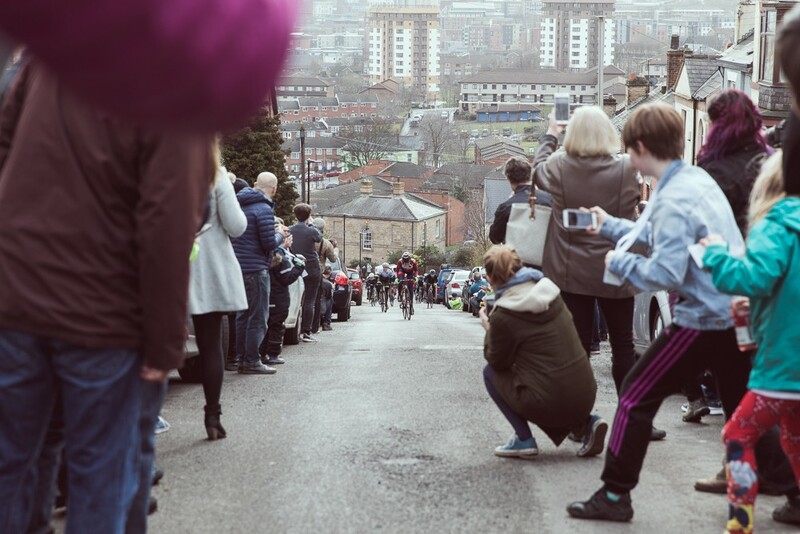 On a course recce the day before, Marc told us that, as well as being the steepest street in Sheffield - complete with handrail to help pedestrians – all of the residents would be out to support, ringing cowbells, banging pots and pans, and generally making a lot of noise. They didn’t disappoint. Coming up to the top of the road the crowd were massed on either side, encroaching on the tarmac to get a view of the approaching riders and parting to let them through. It was like an Alpe d’Huez stage of the Tour de France (or so it felt in that brief moment). The rest of the hills had their own charms: cobblestones, winding lanes, a hint of snow still lingering on the highest roadsides, but all featured people coming out to see what was going on, encouraging all of us. 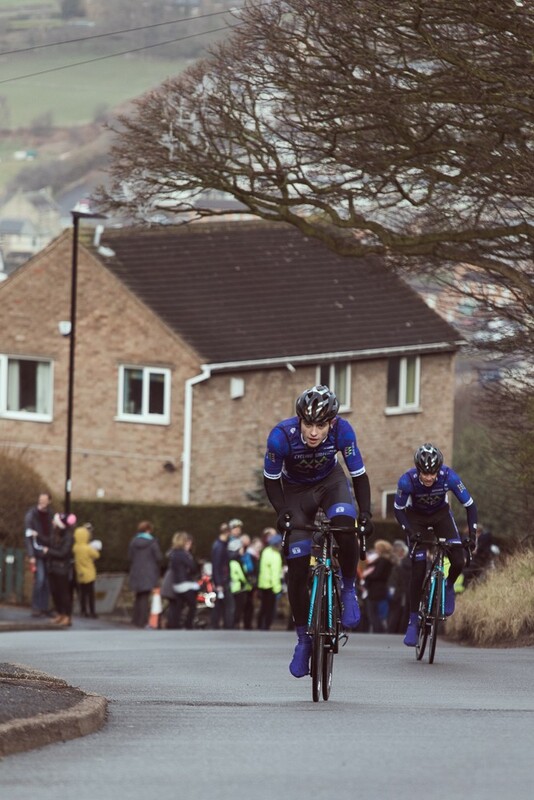 The final climb, the Côte de Bradfield, leading up over the village that we started out from, featured in the 2016 Tour de France Yorkshire Grand Depart. With messages still visible on the road proclaiming “Va Va Froome” and, in true Yorkshire style, “Ey Up Tour de France” to spur us on, perhaps the best part of the day was that as riders reached the summit, everybody turned and cheered on those still coming up. 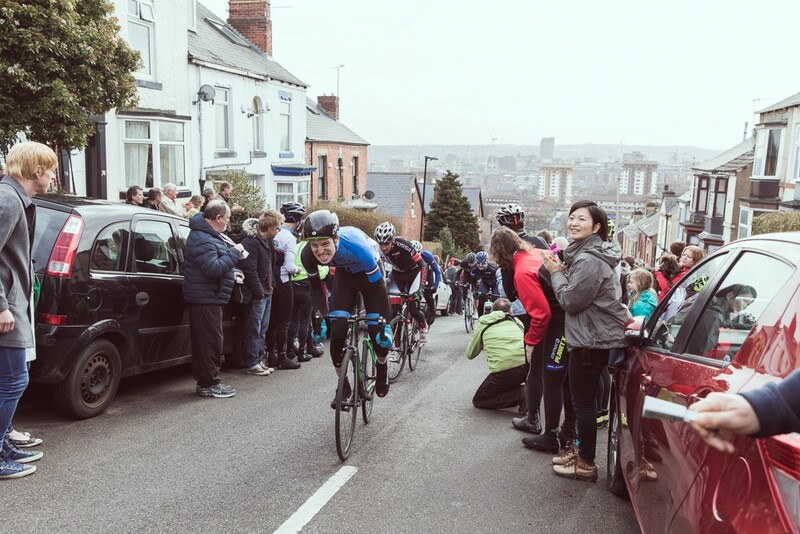 It was a show of the genuine camaraderie of cycling and Sheffield friendliness. We were told by many people on this visit that no matter where you are in this city, you are no more than five minutes away from the most amazing countryside. The Magnificent 7 was a magnificent was of demonstrating how Sheffield is truly an Outdoor City. Bikevibe will definitely be back to explore it some more.